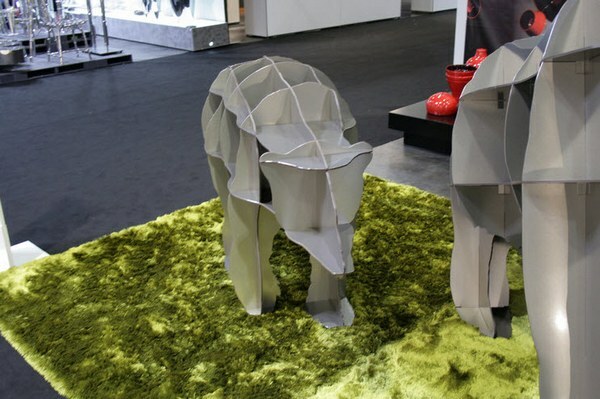 I have been drawn to stylised polar bears ever since laying eyes on François Pompon’s sculpture of a polar bear in stride. It’s surprising how often I find them and my personal collection now includes a resin brooch and a pair of Art Deco bookends. Naturally it was love at first sight when I spotted the Junior Bookshelf by French company, Ibride. What a stunning centrepiece for any room. The bookshelf is made from high-pressure laminate to ensure it will last a lifetime and finished in either glossy white or pale grey brushed stainless steel. The shelves have lots of nooks for all sorts of things other than books – it almost seems a shame to load them up. 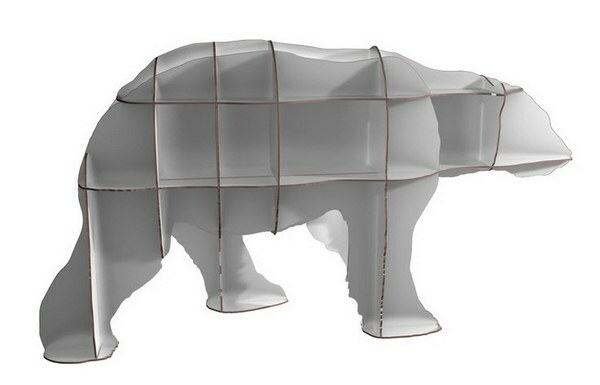 Also available is the Joe Bookshelf, a larger version of the polar bear priced at £3532 – I think I will have to make do with my polar bear bookends holding up my books for now! The Junior Bookshelf is priced from £971 at Made In Design, who ship to Australia.